A new tell-all book reveals some explosive details about Emmanuel Macron’s beloved wife, Brigitte, and her alleged role in the Elysée Palace. “They dream that she dies. For them, this grieving widower would be wonderful. They are in love with him. At night, they dream of making her disappear”, citing a source from the couple’s inner circle, who claimed that Emmanuel would be better off without her. The two journalists referred to Ismaël Emelien, the co-founder of Macron’s party En March!, and his campaign director Stéphane Sejourné, the president’s political adviser until 2018, among those who allegedly loathe Mrs Macron. The authors allege that the 65-year-old first lady has a huge influence on her far younger husband and had a hand in choosing his Cabinet ministers. According to the book, Brigitte helped him choose education minister Michel Blanquer and “convinced” Emmanuel not to receive Nicolas Hulot after he stepped down as environment minister. “She is the woman who whispers into the ear of the artists”, the book quoted Philippe de Villiers, the 2007 presidential nominee from the Mouvement pour la France, as saying. 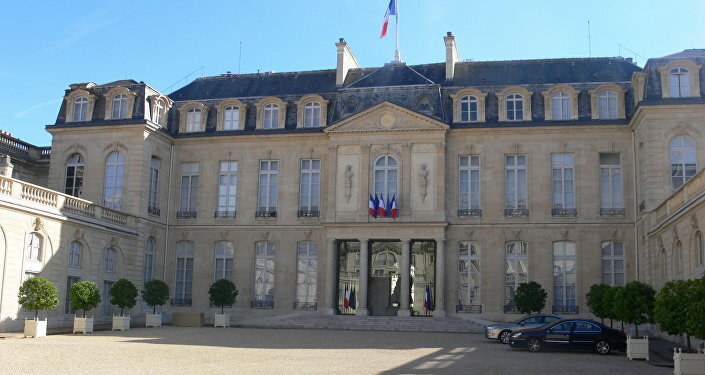 Djamshidi and Schuck portrayed her as “the new Marie Antoinette” while referring to when she showed the newspaper Le Monde the renovations in the Elysée Palace worth 600,000 euros ($686, 856) just three days before the first “yellow vests” protests, triggered by an envisaged hike in diesel taxes. “He is always touching her fingers. He needs to know that she’s there. I’ve seen very few couples like that”. French President Emmanuel Macron and wife Brigitte leave home before voting in the first of two rounds of parliamentary elections in Le Touquet, France, June 11, 2017. The Elysée Palace and Mrs Macron haven’t commented on the claims so far. Brigitte, who is 24 years older than her husband, was Emmanuel’s teacher at a secondary school in northeast France. The 39-year-old Brigitte was from a well-off family and a married mother-of-three when she fell in love with the young Macron, and had to divorce so that they could tie the knot. In a book entitled "Brigitte Macron: L'Affranchie (The Unfettered Woman)," written by Maëlle Brun, a friend of Brigitte was cited as saying that "she lost all her friends" because of her love affair with a man so young. The entire neighbourhood treated her parents "like they had the plague", spat on their doorstep and sent letters condemning their daughter's behaviour.